Come and meet Steve, Bryn and Lisa our Siamang gibbons! 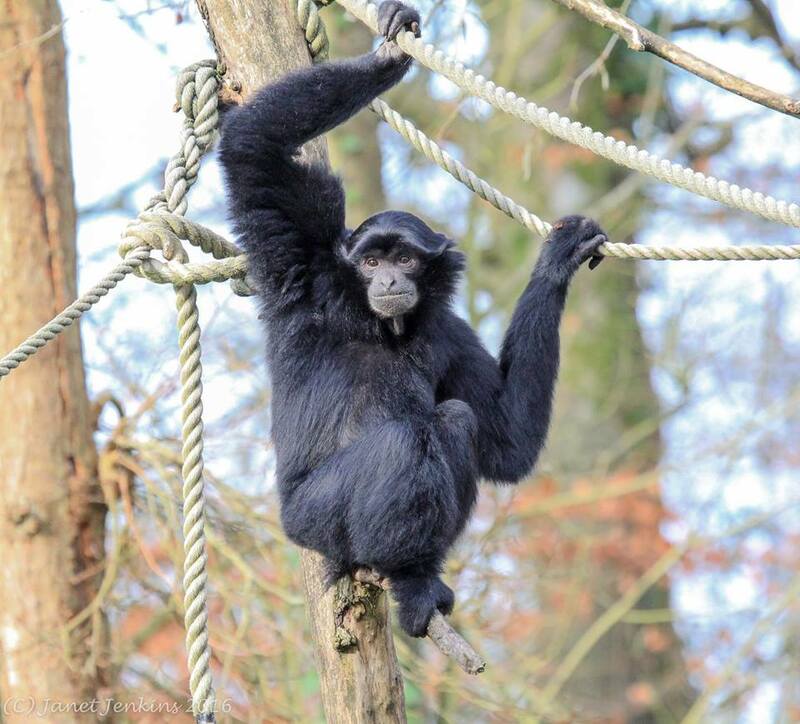 Come and meet the park’s biggest stars, Steve, Bryn and Lisa our Siamang gibbons! This amazing experience will give you a behind the scenes look at a gibbons bedroom as well as the chance to feed these incredible animals. To receive a gift box for the experience, including a box, mug and vouchers, please put '1' in the Gift Option. A charge of £3.99 for postage and handling will apply at checkout.